Krakitten is a fantasy cat t-shirt by Gregory Moore. 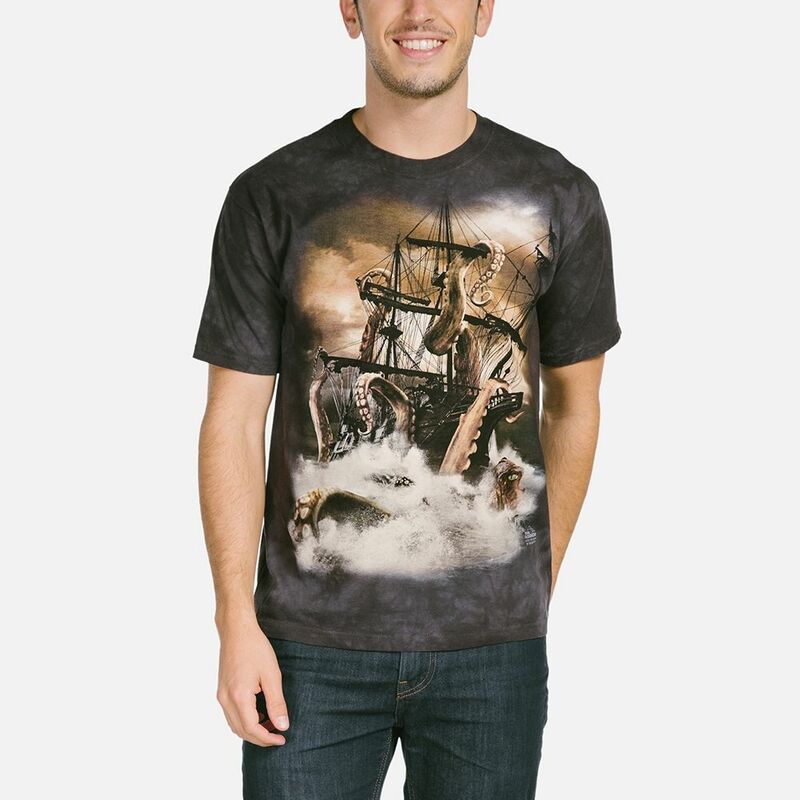 The t-shirt image is a giant kitten attacking a shipping vessel. A fun take on the popular monster kraken t-shirt design we also carry. A must for all cat lovers - the colours are fantastic and the picture superb. I could imagine my kitten doing the 'boo I am here - are you scared' and then running off. Highly recommended. Superb service and delivery.